In a recent article James Leibold, a scholar at La Trobe University, in Australia, discussed the way ethnic minority struggles against police and structural violence have often been officially misrecognized as “terrorism.” At the same time, in China, as in the United States, violent acts carried out by non-Muslims are read as acts of the deranged and mentally ill, but not as “terrorism.” In China, as in the United States, the lives of Muslims which are lost as a result of “terrorist” or “counter-terrorism” efforts are often unnoticed and unmourned. All losses of life leave gaping holes in our human social fabric, but why are some more grievable than others? What happens when a population is “terrified” by the discourse of “terrorism”? 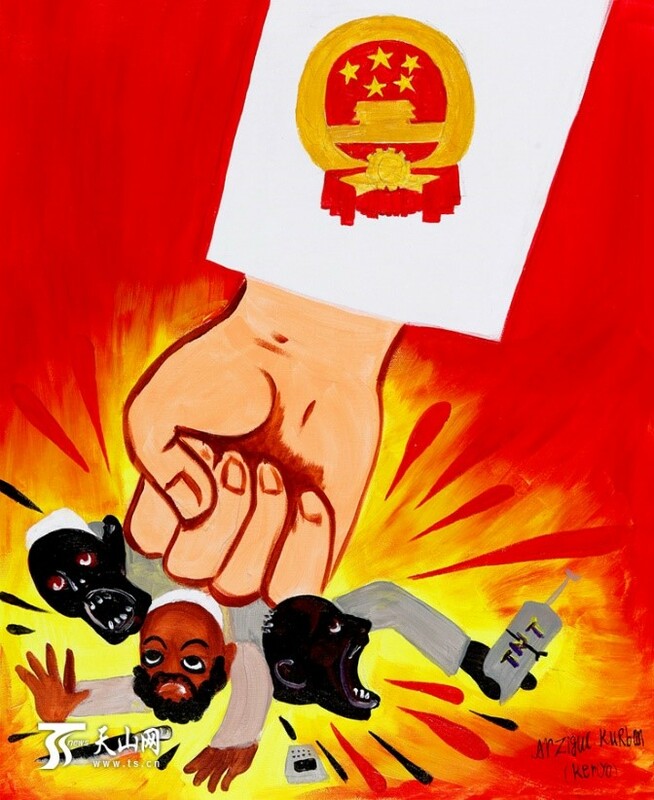 Clearly the American discourse of a “Global War on Terror” has set the terms of “The People’s War on Terror” in China, but it has not been deployed with the sort of sweeping intensity in the U.S. as it has been in China, particularly in Xinjiang. Because terrorism is framed as a threat “out there” in the American discourse, the Muslims that have been terrified by U.S. forces have largely been in the Middle East and Afghanistan. In China the locus of perceived threat has always been closer to home: the threat is the bodies of Uyghur migrants from Southern Xinjiang. 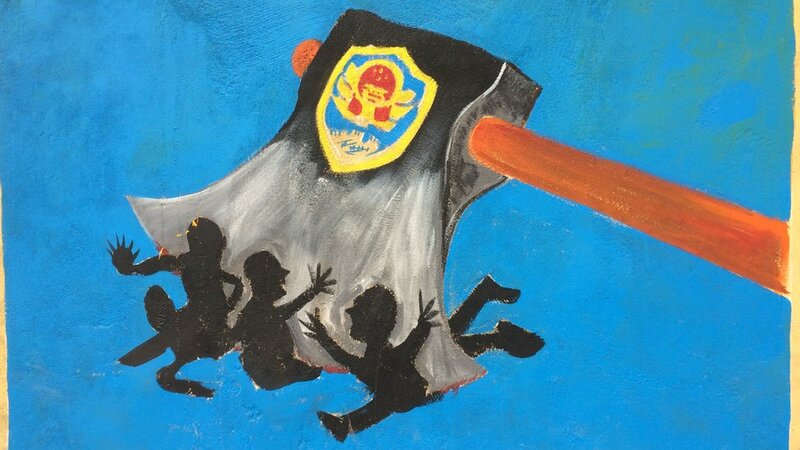 Over the past couple of years Uyghurs in Southern Xinjiang have often told me that what they are facing now is much worse than the Maoist Cultural Revolution of the 1960s and 70s ever was for Uyghurs. They told me that Uyghurs can be accused of “terrorist” sympathies so easily, and once under “enhanced interrogation techniques,” to borrow a Rumsfeldian turn of phrase, in detention, they often turn on their own neighbors and friends, offering them up as the real “terrorists” etc. The way neighbors and family members have been pitted against each other through this process reminds them of the way students turned on their teachers and parents during the Cultural Revolution. 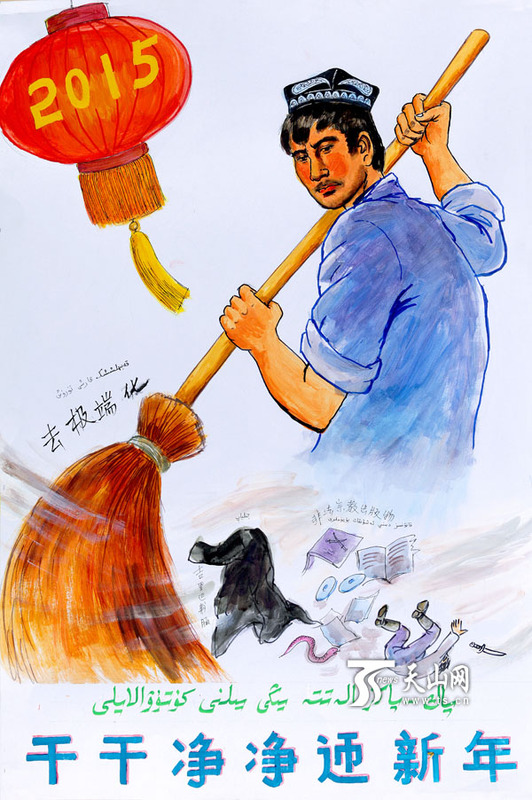 The difference is that this time the terror of the police-mandated extermination of “counter-revolutionary ideas” has infected every Uyghur home. Making matters worse, the state and broader social violence has now called “real terrorists” (if we define it as premeditated killing of civilians) into existence as is evidenced by the incidents in Tiananmen, Kunming, the Ürümchi train station and Ürümchi green market over the past few years. These horrific acts of violence are unjustified under any circumstance and must be condemned. Yet the loss of life in these incidents pales in comparison to the hundreds of unarmed Uyghurs who have been killed in protests, “shot on the spot” for arguing or fleeing, or the thousands that have been disappeared following violent incidents. “It seems to me that there is no moral difference between the horror inflicted by state armies (especially if those armies belong to powerful states that are unaccountable to international law) and the horror inflicted by its insurgents. In the case of powerful states, the cruelty is not random but part of an attempt to discipline unruly populations. Today, cruelty is an indispensable technique for maintaining a particular kind of international order, an order in which the lives of some peoples are less valuable than the lives of others and therefore their deaths less disturbing” (94). Thinking about “terrorism” and how it terrifies groups of people, thus opens up questions about whose lives matter. If Uyghurs are now “terrorists” until proven otherwise, when is the loss of a Uyghur life grievable? Dr. Darren Byler is a lecturer in the Department of Anthropology at the University of Washington where he teaches social theory, urban ethnography and the biopolitics of life in Chinese Central Asia. He also writes a regular column on the Uyghur human rights crisis for SupChina. Hey Daniel, could you please supply a reference for the first image at the top of the article? Thank you!